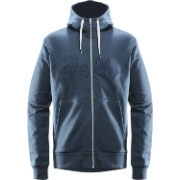 •	Ullfrotté Original 400g is a slightly thicker fabric that can be used as a warming mid layer, for example underneath a water repellent outer layer. Adjust layers based on your level of activity. •	Remember that the garments are unisex. Check your sizes against our size charts. 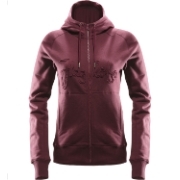 •	The garments are made in Östersund, Jämtland, all the way from the yarn to the final packaged product. •	The seamstresses sew an entire garment from start to finish, and mark the clothes they sew with their own nametag. •	No other man-made fabric has all the great qualities of wool. •	We take our wool from merino sheep that graze in the Argentinian part of Patagonia and Uruguay, and it is mulesing free. •	The fabric doesn’t smell bad if you sweat. Wool is self-cleaning and breaks down the bad-smelling bacteria from the skin. That’s why it doesn’t need to be washed so often. •	Wool fibres can absorb up to 30 per cent of their own weight in moisture before even feeling damp. •	Even if the material gets damp it continues to keep you warm anyway. •	Woolpower clothes can be washed at 60 degrees. 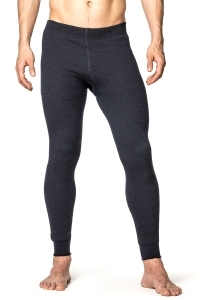 Long Johns 400 are a thicker mid-layer made from our own Ullfrotté Original 400 gram fabric. They can be worn under a wind or water repellent outer layer. 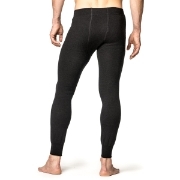 Long Johns 400 are good for colder conditions or when you don’t plan to move about too much. To get the most benefit from merino wool’s qualities, wear Woolpower directly against your skin. 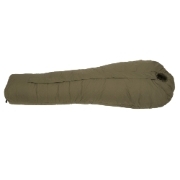 The fabric is hardwearing and made of fine merino wool, polyamide and most of all – air. 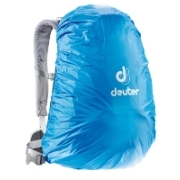 The air in the fabric is really important as it insulates the heat that your body produces. The fabric is circular knitted and therefore has very few seams that can chafe. Seams are always the weakest link in a garment, so our clothes are very durable. The cuffs are elasticated and are also knitted in to the fabric. For maximum comfort we have sewn a gusset into the back of the long johns. Wool is nature’s own functional fabric and so far, no man-made fibres have been able to replicate all the unique qualities of wool. The fabric doesn’t smell bad if you sweat, for example. What’s more, it keeps you dry as the wool can absorb up to 30 per cent of its own weight in moisture without even feeling damp. But if you really get wet, the long johns keep you warm anyway. It’s because of a chemical process within the wool called absorption heat. Ullfrotté Original can be washed at 60 degrees.